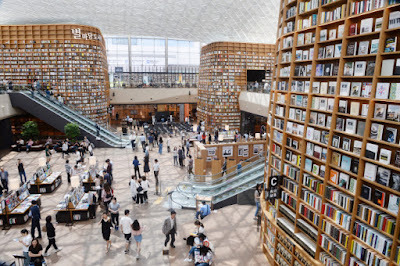 Shinsegae Property has officially opened the large-scale library in Starfield Coex Mall, featuring some 50,000 books placed on towering two-story bookshelves. The 2,800 square meter-sized library is located at the center of the underground shopping mall. 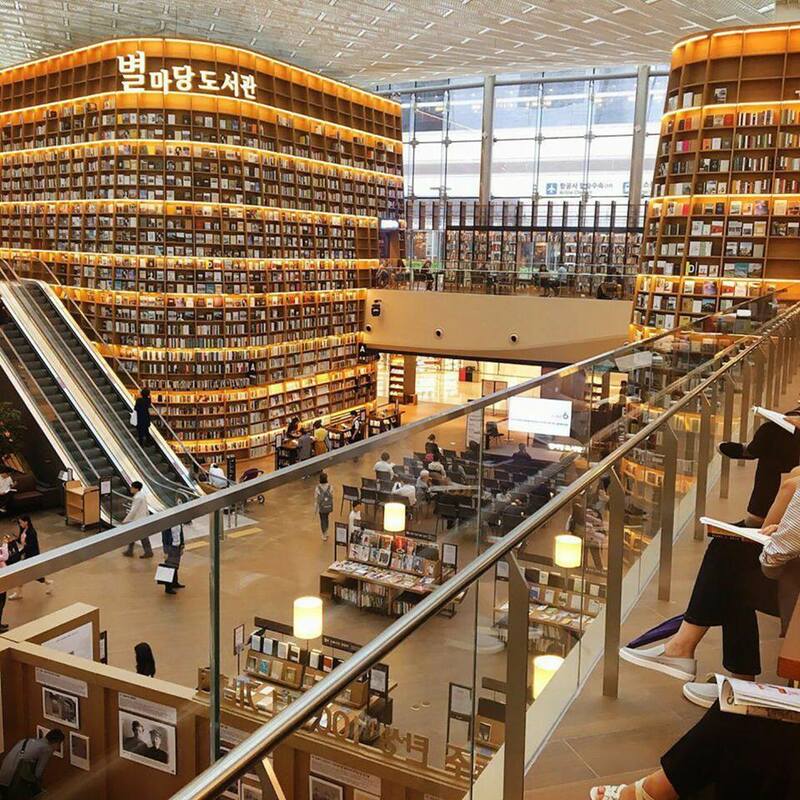 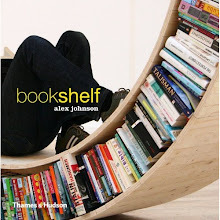 Shoppers can freely browse, read and search for books of their choice on kiosks stationed at various points inside the open library area.